Water softening is a process where minerals like calcium and magnesium are removed. This prevents hard water from creating damage to your health and property. There are many methods to soften water, including ion exchange, distillation, and reverse osmosis. Soft water keeps your clothes clean and fresh, and contributes to healthy skin and hair. 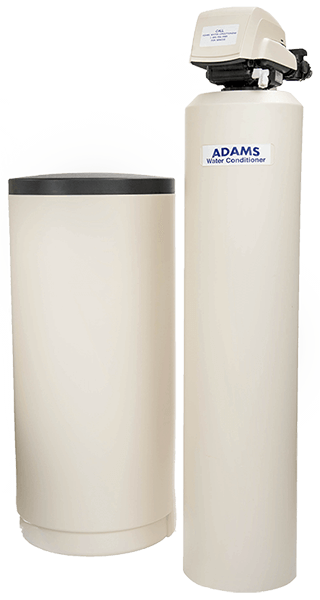 A quality water softener can also help improve water pressure. For more than 20 years, Logix models have set the standard for high-efficiency, low-cost water softener solutions. Capable of handling whole-house or business water needs, these systems are easy to install and program. Since 1946, Clack has been a trusted and respected name in water treatment. 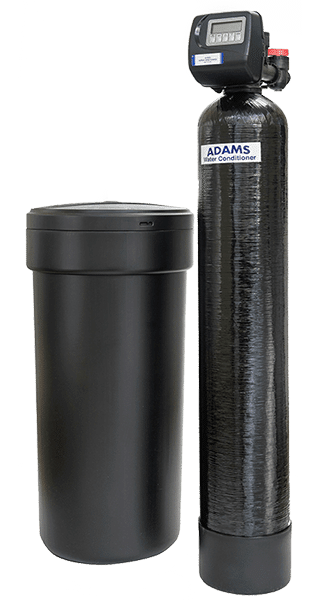 Adams water installs the Clack water softener to bring household water to a new level of quality with the convenience of advanced controls and proven system performance. The metered microprocessor-based controller and LCD display simplify system programming and operation. Best of all its designed to minimize system salt and water usage. It’s a fact that safe, clean water is directly linked to better health. According to the Centers for Disease Control and Prevention (CDC), many health complications can be traced back to bacteria, virus, and pollution in water. Why risk the wellbeing of your family and employees? In addition, treated water benefits appliances such as refrigerators, washing machines, and water heaters by increasing efficiency and durability. Treated water also prevents clogs and scale buildup in faucets, showerheads, and drains. Contact us today to find a water softening plan to fit your budget and needs.